Hair By MissTresses Wigs at NYFW for The Blonds!.. Again! 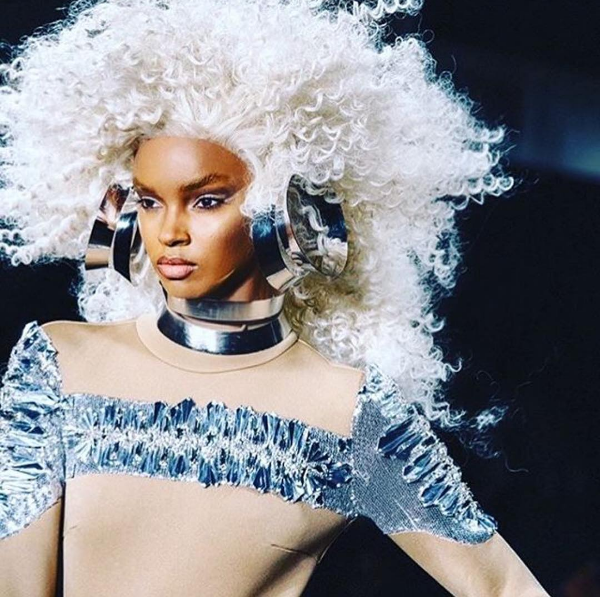 Hair By MissTresses are incredibly proud to have supplied the wigs & hairpieces for The Blonds New York Fashion Week Catwalk Show for a second time this year. The Blonds are a design team made up of David & Phillipe Blond who regularly feature in New York Fashion Week. They have worked with and created outfits for some of the biggest stars, including Lady Gaga, Britney Spears, Nicki Minaj, Mariah Carey & Madonna. We worked closely with David Blond to create these incredible Patinum Blonde Spiral Curl Lace Front Wigs for their catwalk show that was held at Milk Studios on September 11th 2016. All of the models wore a matching wig that was made to be extra big & extra thick for the biggest impact. The Blonds took it from there, teaming them up with their gorgeous, glamorous range for this NYFW. For months we have been incredibly excited to see the final results, and here they are..